Perched on a nearby rock, their scribe noted down each response. Site completed, everyone trooped down valley to repeat the performance again…and again. Hours later, their odd utterances and peculiar behavior resolved into a polished presentation of field research in the White Mountains. The students explained their hypothesis, walked their peers through a PowerPoint complete with data graphs and statistical tests, and fielded queries about methods and experiment design with utter aplomb. “I’ve learned a lot more about how research is done, and what really it is,” said Elena Duke of UC San Diego. 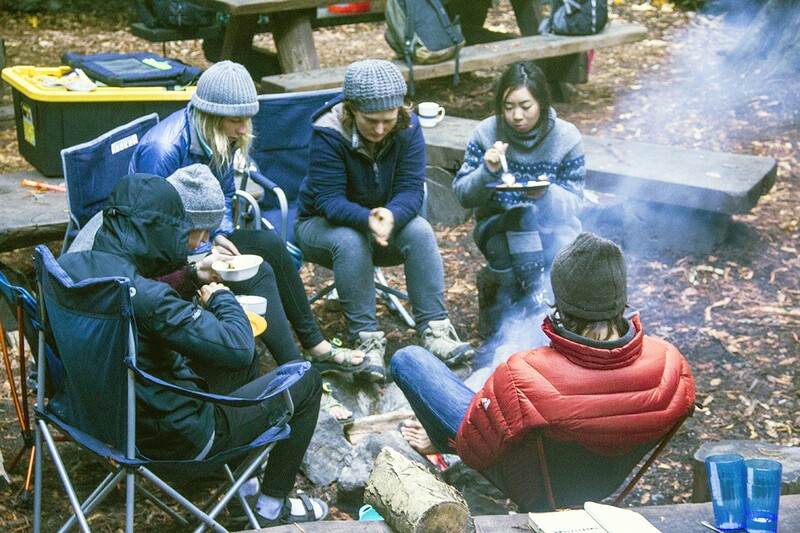 Duke and her 26 classmates were enrolled in California Ecology and Conservation, a course that immerses University of California undergraduates in field research in the wildlands of the UC Natural Reserve System. 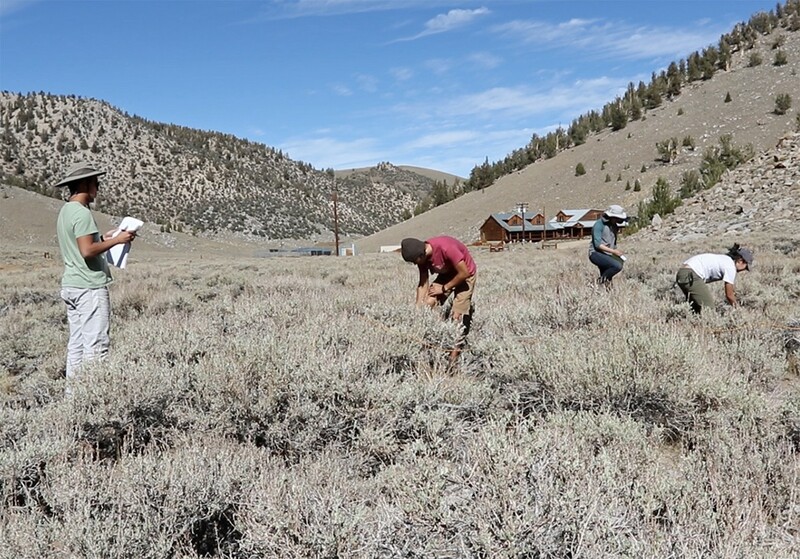 Open to students from all nine of the general UC campuses, the course lets students experience a variety of protected California habitats, practice hands-on research, and gain a deeper understanding of the natural world. Applications for Fall 2016 are being accepted now. The class visits one NRS reserve after another over seven weeks. 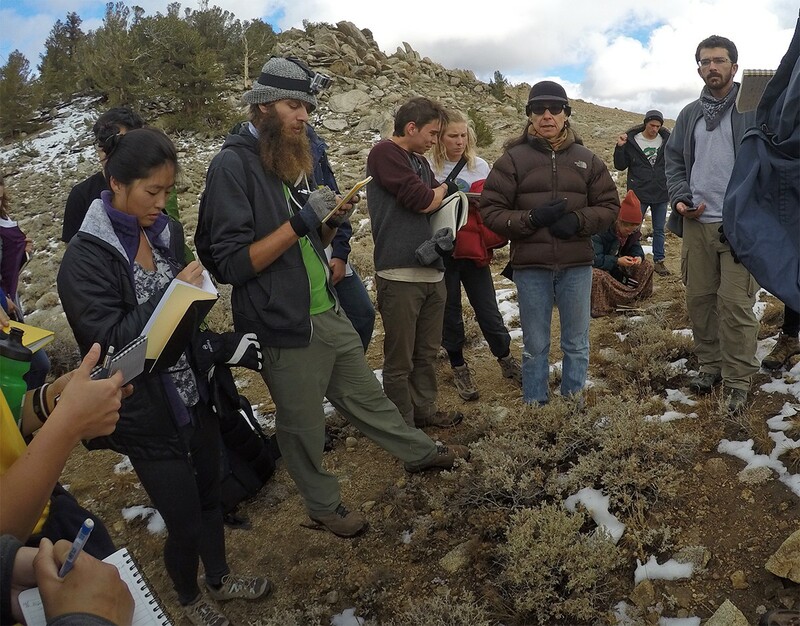 Students take only California Ecology and Conservation for the term, and the program yields a full complement of quarter or semester units. Students call the class a highlight of their undergraduate careers. “It’s definitely renewed my passion for going outdoors in nature and studying everything around me,” said Ryan Tran of UC Santa Cruz. Instructors aim to empower students to practice science on their own. “We’re trying to get students to understand that science is the process by which we go acquiring knowledge. And the best way to teach students science is to have them doing science, so they’re learning each step of the way,” said course instructor and ecologist Blake Suttle, who did his doctoral research at the NRS’s Angelo Coast Range Reserve. 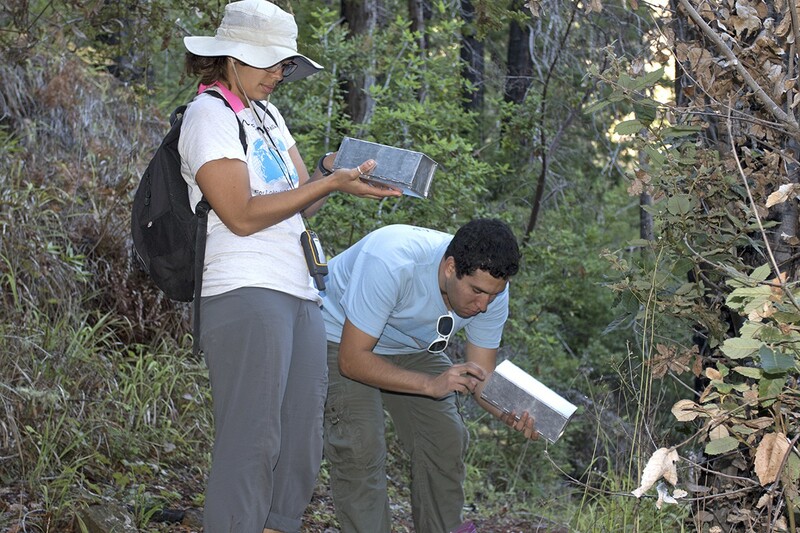 Course faculty waste no time shooing students into the field to practice science. “One of the last lectures we had, an hour later we went out and applied what we learned. Now it’s something that actually sticks in my mind,” said Michael May of UC San Diego. As their repertoire of field techniques and analysis skills grow, students complete more complex projects. They propose hypotheses to explain patterns they’ve observed in the environment, and design experiments to test it. Outside, they apply research methods they’ve learned to take measurements, and use newly acquired statistical techniques to analyze their data. Finally, students report their results to the class in oral presentations and written reports. 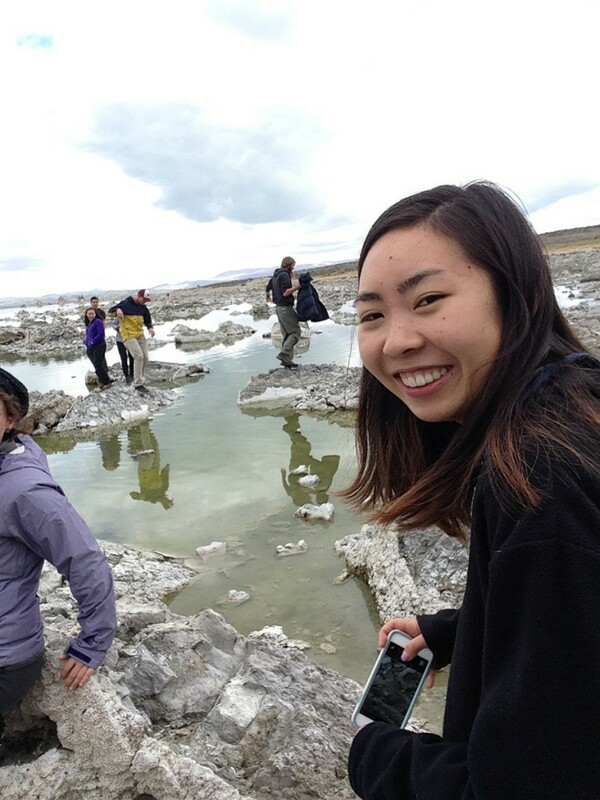 By the end of the seven-week term, students complete up to five independent field studies, and have the skills to conduct their own scientifically rigorous field research projects. “Being able to work with other people and form scientific questions and doing research has been ten times more valuable than any lesson I could learn in a classroom,” said Michelle Yasutake of UC San Diego. The course is intensive and almost nonstop. 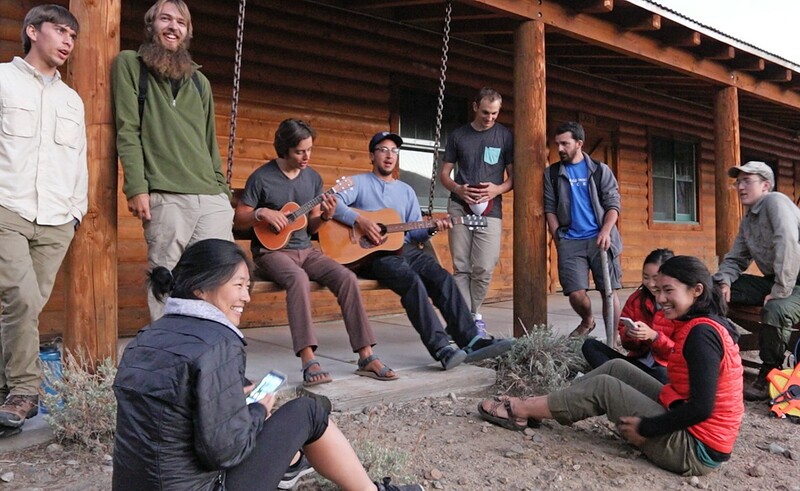 Informal learning starts over breakfast, and class activities, whether via lectures or over the campfire, often continue well past moonrise. Living in the environment they’re studying lets students notice plant smells, soil textures, and patterns that are both critical to scientific discovery and impossible to acquire in a classroom. Living conditions can be primitive, alternating between tents and cabins, with communal meals over camp stoves or cabin kitchens. But the shared joys and hardships bring students even closer together. “It’s silly how compatible we all are. But that’s what happens when you’re thrown into the same situation and are learning all together,” said Molly Nagle of UC Santa Cruz. Students say they even enjoy living cheek by jowl with their instructors. “I’ve built way better relationships with my professors than in any of my other courses. It’s good to live with them, interact with them all day, and get lots of advice from them,” said Arndt. Seeing faculty with bed head losing at Scrabble like everyone else makes students comfortable with instructors and willing to ask more questions. The result is real conversations about everything from animal sampling methods to juggling a family with a career in science. California Ecology and Conservation is administered by the UC Natural Reserve System. The UC Education Abroad Program coordinates the application of tuition, financial aid, credits, and grades at each student’s home campus. It is held every spring, summer, and fall. Course dates are posted online. Students must pass an undergraduate ecology or biology course to be eligible. A course fee of approximately $3,200 covers lodging, food, and transportation. Financial aid is available to offset the fee. Field Studies Program credits apply toward graduation requirements at the discretion of each academic department. Current department-specific credit allocations for California Ecology and Conservation can be found here. Students may decide to contact an academic advisor to discuss course credit mapping. 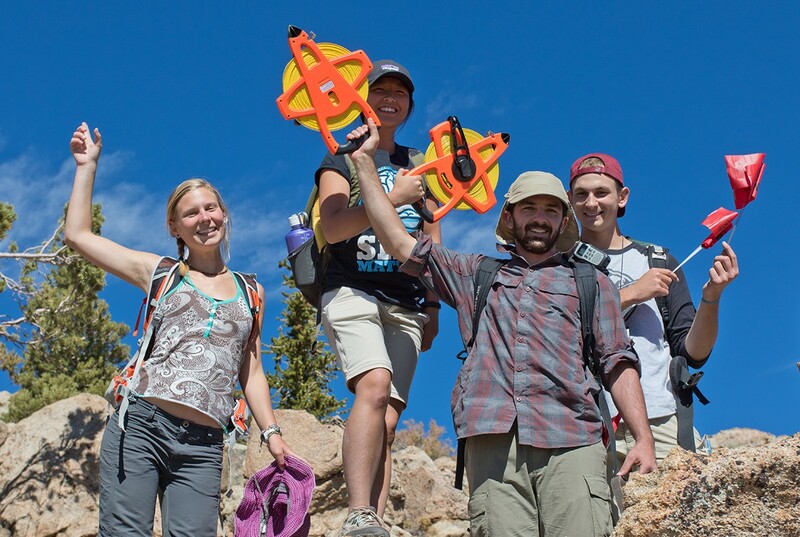 The course is part of the NRS Field Studies Program, which offers workshops and courses at NRS reserves to students from all nine general UC campuses. Applications for the Fall 2016 edition of California Ecology and Conservation will be accepted through April 18. All applications and supporting information must be received by that date. Instruction will begin September 22. For more information, contact NRS Program Coordinator Erin Marnocha at erin.marnocha@ucop.edu.